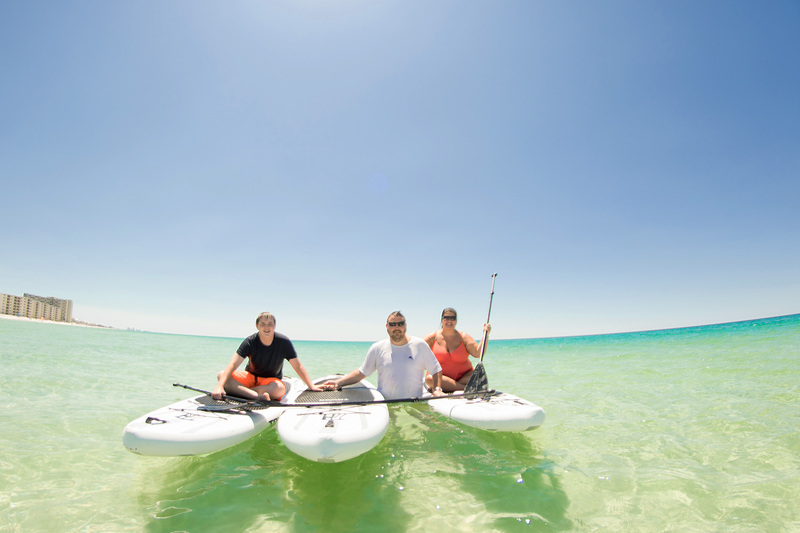 Panama City Beach SUP offers Stand Up Paddleboard tours so you can explore our beautiful area WITH a local guide! We offer three types of tours to give our clients the opportunity for adventure in three of our area’s very unique ecosystems. 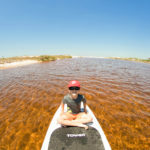 In our tours you will learn SUP techniques such as proper stance, paddling, turning and basic water safety from our patient and encouraging instructors. These tours are fun for the whole family and our boards can handle riders from 50 to 350 pounds! 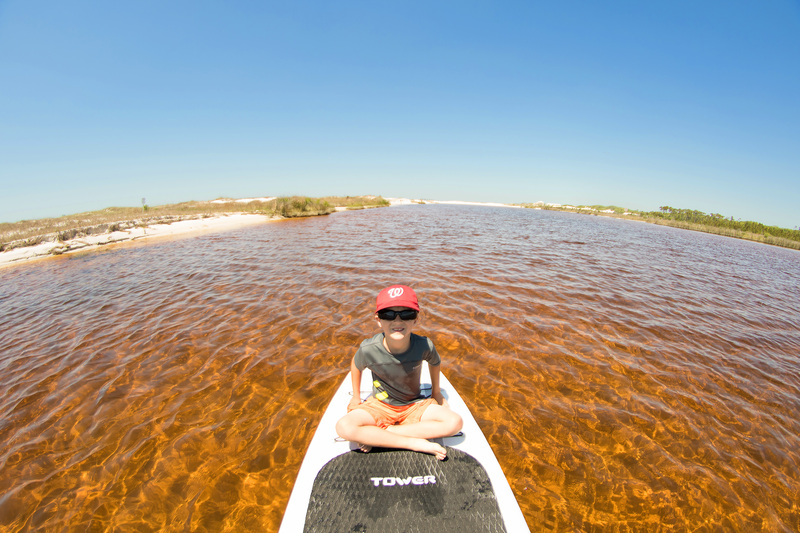 Our PCB SUP Lake & Gulf tour is one of our owner’s favorite paddles in the area! We will meet at Camp Helen State Park and after some short instruction on shore, we will hit the water! Launching onto Lake Powell, we will paddle along the lakeside where you will have the opportunity to see various birds, fish and other marine life. Lake Powell is a special place and is one of the world’s rare dune lakes. Dune Lakes have the ability to open and close themselves off and equalize themselves with the ocean. Lake Powell’s washout is almost always open and we will have the ability to paddle from the lake right into the Gulf! This tour lasts approx. 1.5 to 2 hours and paddlers will have the opportunity to rest halfway through the tour if needed. Lifejackets and water are included, bring your sunscreen and camera! 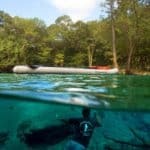 Lets take a trip to Cypress Springs on this 4 – 5 hour water adventure tour, and see one of Florida’s lesser-known beautiful springs. We will paddle down Holmes Creek and make our way to Cypress Springs, if you like Wild Florida, this tour is for you! 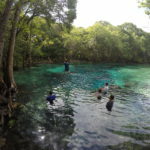 Once there, spend about 2 hours snorkeling or swimming in the CRYSTAL clear waters, and enjoy lunch when you get hungry. The water in the springs stays at a cool 68 degrees all year round and we will provide you with some of the most advanced full face snorkel masks on the market. After you get your mask on, be on the lookout for all kinds of different fish, turtles, etc. This tour lasts approx. 4 – 5 hours and is a 45 minute drive from Panama City Beach. Sandwich, water, and snorkel masks are provided. Be sure to bring your sunscreen and a camera or GoPro (our masks have mounts)! This tour is a definite crowd pleaser!!! Our PCB SUP Pier & Jetty tour will take place totally in the Gulf and there’s a GREAT chance of seeing dolphins on this one! We will meet at St. Andrews State Park and after some short instruction on shore, we will hit the water! Launching onto the Gulf by the pier, we will paddle along the shoreline staying inside of the 2nd sand bar and make our way towards the jetty where you will have the opportunity to see various birds, fish and other marine life (dolphins?)! This tour lasts approx. 2 hours and paddlers will have the opportunity to rest halfway through the tour if needed. Lifejackets and water are included, bring your sunscreen and camera! Click here for More Videos on the Panama City Beach SUP YouTube Channel!